Mark Swartz & Jo Besford represented Green Shoots at the WISE@Accra forum in Ghana. Over 100 schools attended Metro South Education District's "Data Informed Decisions" School Management Conference, which was organised in partnership with Green Shoots. Schools showcased how their use of real-time, learner outcome analytics is transforming how they are supporting Maths learning & teaching. 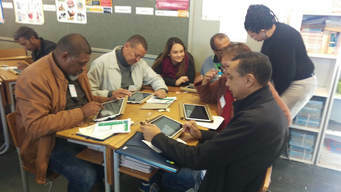 ​"The digital analytics allow you to easily see what learners have not yet mastered - it's a wonderful opportunity"
"Integrating ICT and data into school mathematics education" in the Cape Times. "Their holistic model of curriculum, data analysis, professional development, IT support, and youth development is a unique approach that focuses on using technology as a means to drive student and teacher outcomes." ​ by the Clayton Christensen Institute. Associate Professor, Jens Myrup Pedersen and 2 Masters students, Christian Liboriussen and Ivan Gammeljord from the "Networks and Distributed Systems" course, Aalborg University, Denmark visited Green Shoots. A group of Master students from this course will be undertaking a joint project with the Green Shoots Team. Their course focuses on designing solutions to a real-world problems, with this collaborative project forming part of their coursework. The students will be working on a solution that will allow Green Shoots to provide increased support to schools with poor connectivity. 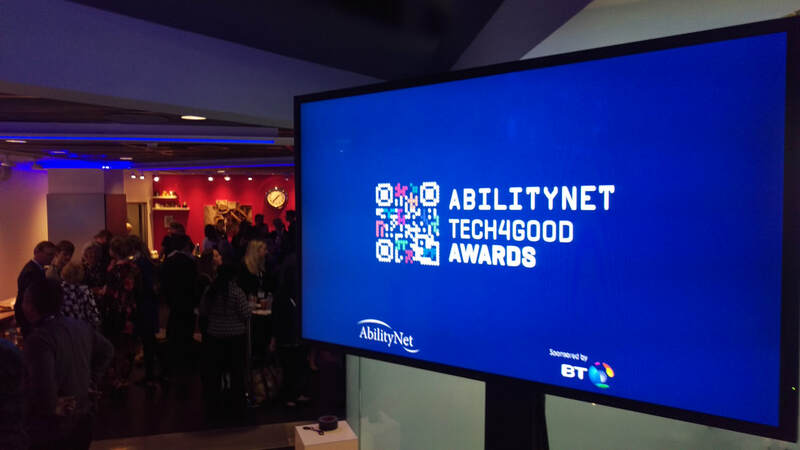 ​Green Shoots was honoured to be one of the four finalists in the "Comic Relief Tech4Good For Africa' category at the 2017 AbilityNet Tech4Good Awards. 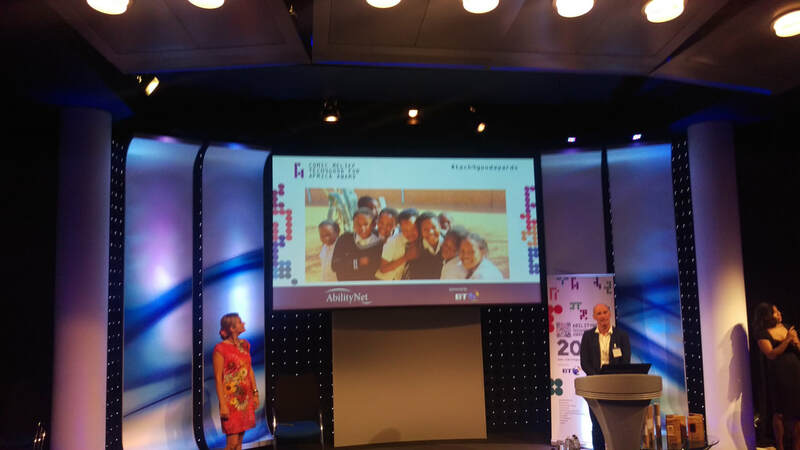 Green Shoots was the only EdTech project selected in this new category that recognises projects using technology to change people’s lives in sub-Saharan Africa. 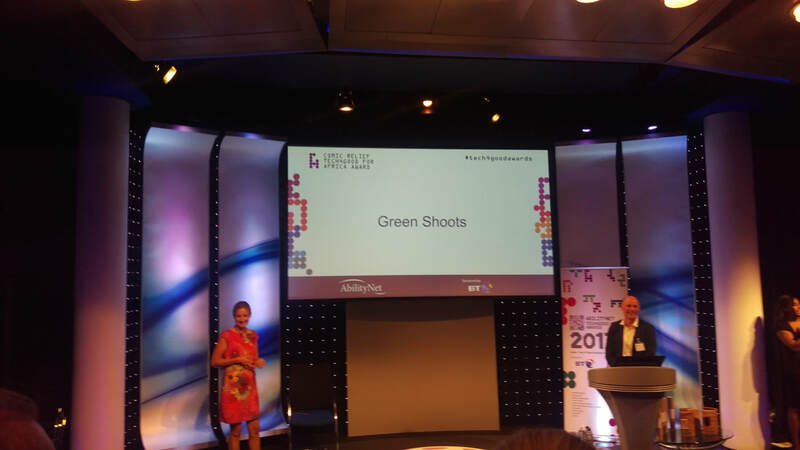 Green Shoots' Project " Supporting Primary Maths: Data informed decisions was shortlisted in the Hybrid Learning category of the prestigious Reimagine Education Awards. The Awards rewards innovative initiatives aimed at enhancing student learning outcomes & employability. 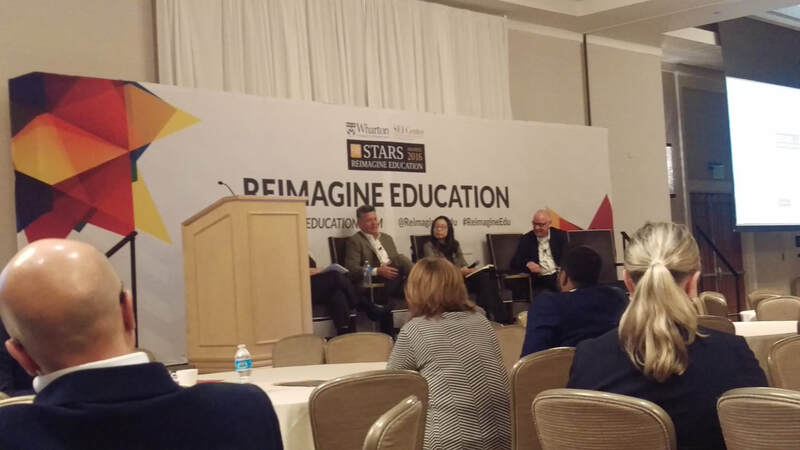 This culminates in a global conference for those seeking to shape the future of education. 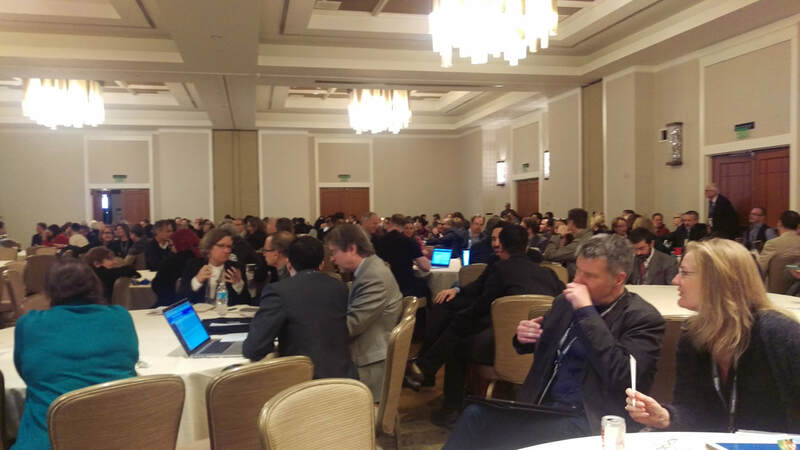 Green Shoots presented their shortlisted Project in Philadelphia, Dec 2016 to Universities and organisations from across the world. Green Shoots was extremely honoured to be the only African-based organisation whose project selected for the 2015-16 WISE Accelerator programme. The five innovative projects of the 2015-16 WISE Accelerator originated from Canada, SOUTH AFRICA, the United Kingdom and the United States of America. The World Innovation Summit for Education (WISE) is a leading international initiative driving innovation and collaboration in education. Launched in 2014, the Accelerator is designed to support the development of young, innovative projects with high potential for scalability and positive impact in the field of education. Green Shoots was part of yearlong mentorship program tailored to address our specific needs. The WISE Accelerator also served as an intermediary to connect our organisation with an international network that created opportunities to share knowledge and find support from donors and investors.